The 90 meter long, 4577 dwt tanker Run Guang 9 caught fire and exploded off Zhanjiang, China. The Run Guang 9 was en route to Zhanjiang from Zhuhai in ballast when one of the tanks caught fire and exploded. Twelve of the 14 crew on board were rescued with 3 sustaining injuries. 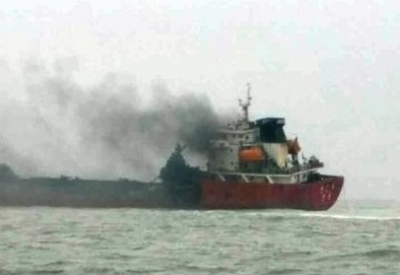 Zhanjiang authorities were able to extinguish the blaze on the run Guang 9 and take control of the vessel. Two crew members were reported as missing and rescuers were still searching the vessel and the nearby area.